How do you get a piece of that traffic pie from Google if you’re competing with a lot of accountants and accounting businesses online? Getting traffic from Google can be a complex process, but don’t let that stop you from at least getting the basics in place. Below are some of the key items you can get started on today. Most of these tips are simple and you can execute them even if you have zero knowledge about digital marketing. In episode 95 of HubShots we discussed 15 tips for increasing your Google organic traffic – you can listen here. You can manage your listing (or create a new one) from the Google My Business site. Click here for a detailed overview of how to setup your Google My Business listing. Add special opening hours and Google Post for events or promotions. Special hours are for your opening times when your business has an irregular schedule like holidays. If people search for the nearest accounting firm near them or use search terms with location (eg ‘accountants Chatswood’), accountants and accounting firms within this area will show up in Maps along with their Google post and special opening times. Find the keywords to use in your page titles and content. You can use these keywords to think about what problems to solve for your customers and write content around them. One of the quickest way to do this is using Google’s free keyword tool. Simply enter terms related to your services and add your target location, and Google will suggest keywords with details on their average monthly searches and competition. These are what Google uses as hints for ranking your website. Be very clear and specific of what your services are, include keyword/s, and make it relevant to the people that are using your service. Minimise your taxes, grow your business and wealth. Hire us! Our firm guarantees expert tax and accounting services to help you attain your financial goals. 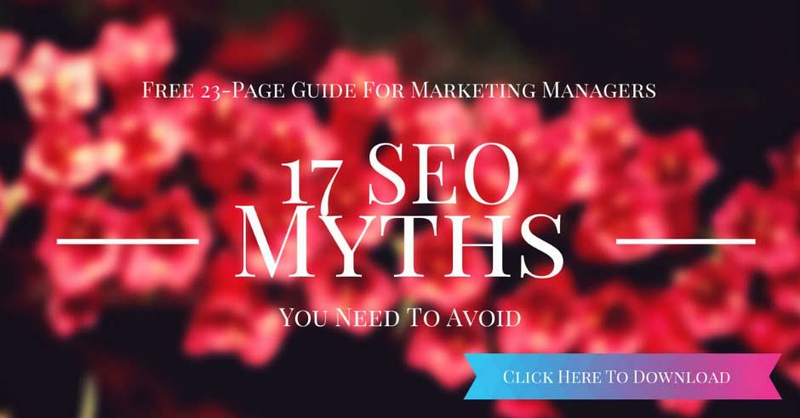 70% of visitors skim through website pages and another 16% read everything on the page. If you have a section at the bottom called conclusion, people will often skip through the post and will just read the conclusion especially if it’s a long article. Whitespace – when your readers skim through posts, they can get distracted with crowded layouts. So whitespace is a good way in getting your visitors’ undivided attention. Make sure your videos are uploaded on your YouTube channel and if you want it shared on Facebook, re-upload it on Facebook instead of sharing it from Youtube. Don’t do this ie don’t share YouTube on Facebook – instead make sure you upload your video to Facebook separately. You can include locations in your home page’s footer area or within the body of the content. This can be simple as writing posts about news or what’s coming up, like new tax rulings. You can write a blog post around this or you can add it to your FAQs page. Focus on providing relevant advice and solve for the problem. Sometimes, just listening to what problems people are repeatedly mentioning, and writing simple answers on your site, is the best way to get traffic from Google. Take a look at your own accounting site using your mobile phone, if it doesn’t work well, your mobile users might leave your website immediately resulting in a high bounce rate on mobile. Have your web developer switch your site’s theme or update your website code to make it work on mobile. If you have an old site, it may be time to invest in a new web site design – feel free to contact us for recommendations. Don’t miss out on traffic and leads by having a slow website. Page speed is now one of Google’s ranking factors on mobile and it’s very important for good user experience. The slower your website loads, the higher the chance of your visitors leaving. However, improving site performance is something you’ll probably need a developer to help with. If you have web developer or an IT team in place already, great. If not, feel free to contact us if you’d like to chat through further. If you sponsor a local sporting club or if you’re involved in community works, you can ask these website owners to add your link to their website. With Google Analytics, you can view your mobile vs desktop bounce rates, see what pages visitors are engaging with and more. This will also give you insights into additional content you can write about. Here’s a simple guide on how to sign up for Google Analytics. If you already have an Analytics account, you can copy your code by going to Admin>Tracking Code (under Property)>Website Tracking. Make sure your listing details are correct and links back to your website. For example, if you are a Chartered Accountant you can get your listing included here. And for CPAs ensure your listing is up-to-date here. Sounds obvious right? When we were checking through listings on the site directories we found numerous practices had web site details that were incorrect! This entry was posted in Strategy, SEO. Bookmark the permalink. HubShots Episode 96: Using HubSpot Search, Deal Stage Funnels and Why You Should be using https!